DCU manager Stephen Maxwell has reflected on a largely positive year for Ladies’ Gaelic football in the university. The senior ladies reached the O’Connor Cup semi-final while the college also enjoyed other successes, with triumphs in the Giles Cup and the freshers’ team enjoying great success. The current Westmeath Ladies manager and Sports Development lecturer was delighted at how the university competed at all levels and spoke of how proud he was of his players. “It’s great for all of DCU because this was the first year we ever had four ladies Gaelic teams and they were all very competitive,” he said. Last year, Maxwell enjoyed a successful first year in charge and he is proud of how well his team performed as they tried to replicate and better the success of the previous year. “Last year we won the league and then had a disappointing semi-final against UL (University of Limerick) in the O’Connor Cup,” he recalls. Old rivals UL seem to be Maxwell’s only downfall in what has been an outstanding two years with the DCU Ladies. A 1-15 to 2-08 loss in the semi-final in Castlebar in early March this year leaves something of a bittersweet taste for Maxwell. “We were outstanding, we could not have played any better to be honest,” Maxwell spoke of his pride he has of the performance of his players. Of course it was not to be for his side as they endured a turbulent last quarter to the tie that ultimately ended in defeat. “A very disappointing finish to the game in very controversial circumstances as well which did not help,” he claimed. The result aside, James Costello’s Giles Cup side tasted success on the same weekend, defeating a relentless Athlone IT side in an epic encounter at MacHale Park. DCU triumphed on a scoreline of 3-07 to 0-14. “(I am) absolutely delighted for Jammy, Nicky and all the players, (it was) well deserved. I think that’s four trophies in three years for that management team so it’s an absolutely fantastic result,” Maxwell says. Maxwell also revealed that DCU would lose five players from their senior side due to graduation. Their goalkeeper Aisling Tarpey, defenders such as Leah Caffrey, Aisling McAuliffe, Kate Fitzgibbon and of course their captain Siobhán Woods. 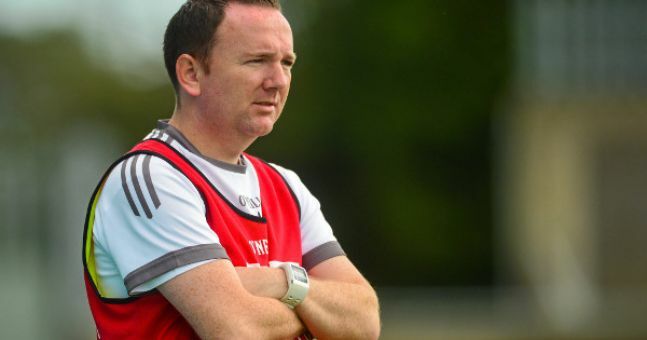 He is however adamant that this will not necessarily affect their aspirations for the coming year due to the high quality of young players at DCU. “Obviously we hope that the reputation of DCU will bring in some new freshers,” he said. “This year we had four freshers in the team, the year before we had two, so it is going in the right direction. “If we had five or six freshers coming into that team, it would drive them on,” he added. With the continued success, increased participation in the game in DCU and of course the quality of incoming players, is Maxwell happy with the progress made and what is to come? “Most definitely. Overall there have been massive strides taken,” he concludes.